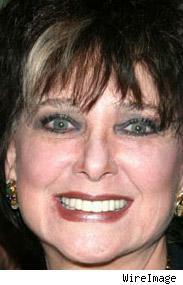 TV wife Suzanne Pleshette died at her home in Los Angeles last night at age 70, after a courageous battle with lung cancer. Just last September, while undergoing treatment, she appeared at a 35th anniversary event celebrating "The Bob Newhart Show." Suzanne was married in 2001 to "Newhart" actor Tom Poston, who died in 2007. Pleshette got a really big break in 1963, when Alfred Hitchcock cast her in "The Birds." She married heartthrob Troy Donahue the following year. Her most unforgettable appearance, however, was in the classic final episode of "Newhart," when she rolled over and revealed that the whole show had been a dream.